I have 12 years of professional work experience as a Singer / Dancer / Actress and am currently performing in "Les Miserables" at The Queens Theatre, London. Other credits include, "The Phantom of the Opera" at Her Majesty's Theatre, London, "The Wizard of Oz" at the London Palladium, "Evita" UK & International Tour and more. 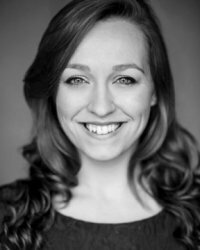 I have 16 years of teaching experience: private tuition and group lessons, classical music to pop to musical theatre. I teach singing, all styles of dance, drama and aerobics. I run my own academy, "The Barr Academy of Performing Arts" in Stokenchurch, High Wycombe currently offering Musical Theatre classes to children from 3 - 18 years. Whether you want to concentrate on technique, add to your repertoire, prepare for auditions, work towards vocal exams, or just gain some more confidence in singing, I can provide you with a fun and rewarding singing lesson! Lessons are £35.00 per hour or £20.00 per half hour session from my home in High Wycombe. I teach beginners to advanced students - children, students & adults on Mondays, Tuesdays & Fridays, during the day only. Auditions for Professional Music College/Drama School - Past students have gained places at the following colleges… ArtsEd London, Laine Theatre Arts, The Urdang Academy, Italia Conti, Bird College, Mountview Academy of Theatre Arts, Performers College, Rose Bruford College & Cambridge Performing Arts at Bodywork Company.